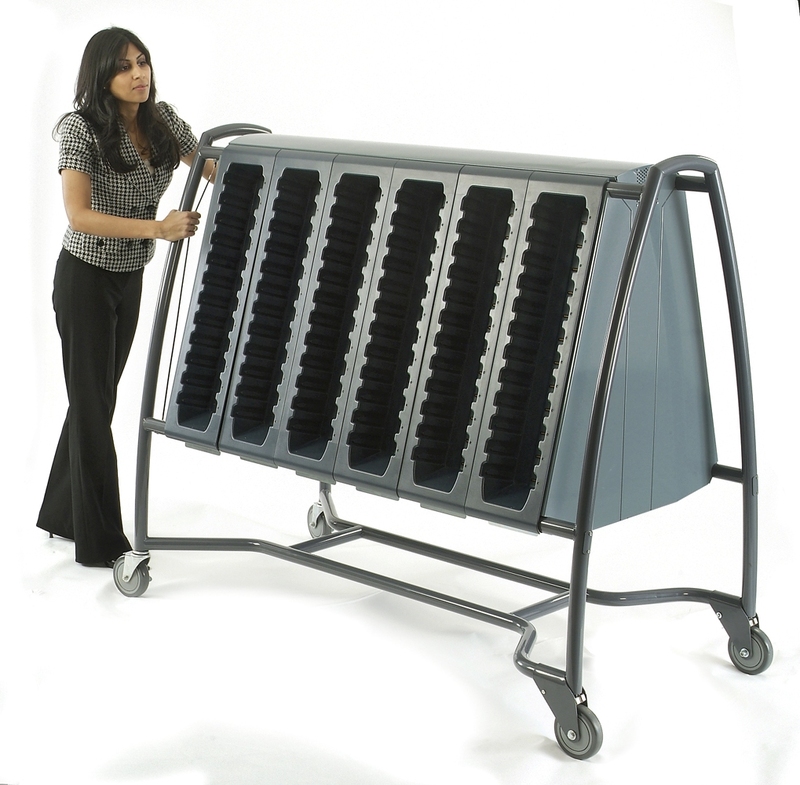 Designed to be an in-store mobile charging station for the batteries of the Concierge shopping cart unit, this device charges 144 batteries from a single 120V standard wall outlet. Consulting with Vervian Design Group, Edey FX was responsible for a turnkey design solution including testing and fabrication of prototypes for UL certification and final production samples. The cart is outfitted with casters and a dead man’s brake system; the brake engages once the user lets go of the frame, stopping a fully loaded 500+ lbs cart instantly and safely. 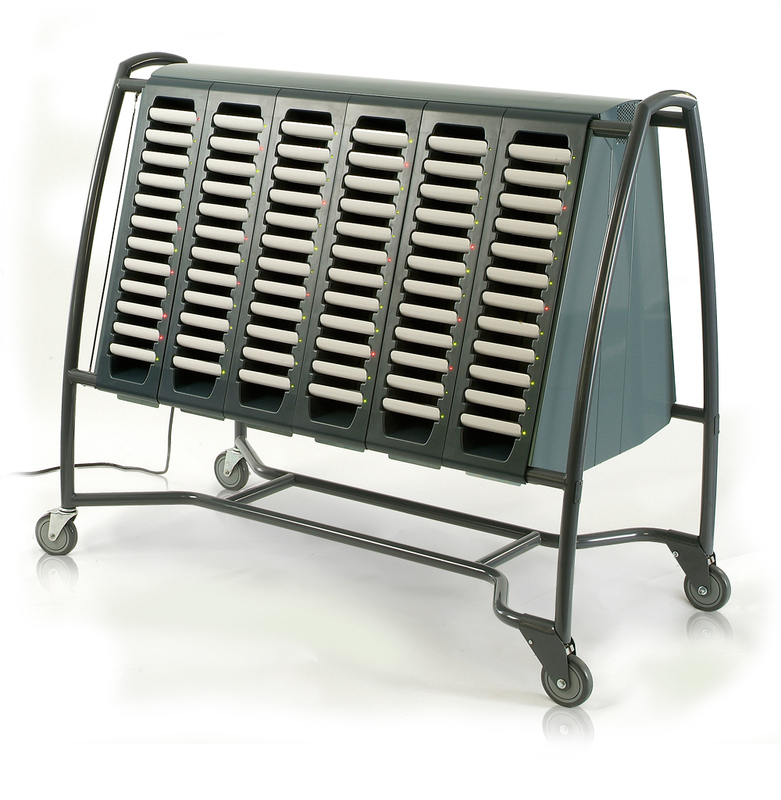 Designed for the public use environment, this robust portable device has twelve removable bays for easy maintenance. 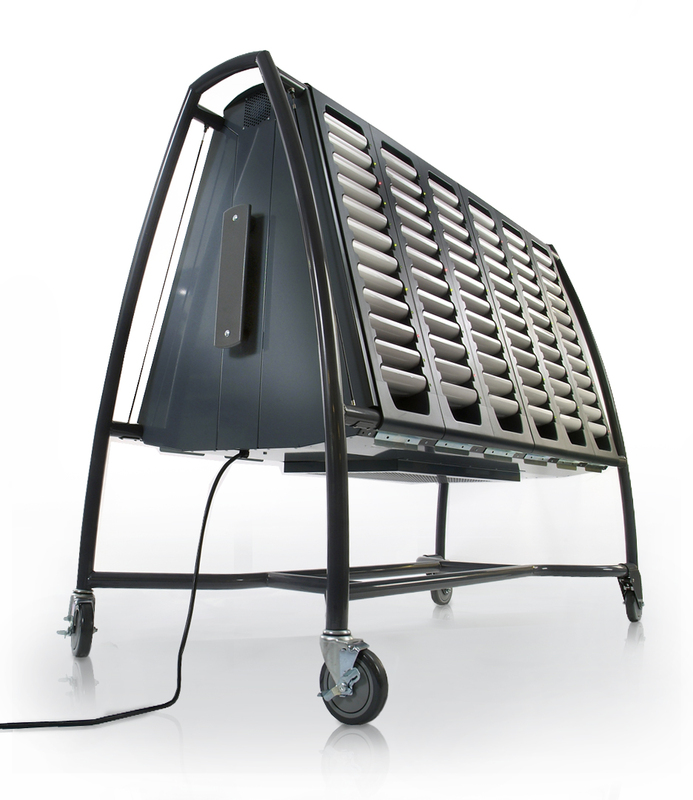 The bays integrate with a filtered air cooling system, maintaining a clean, temperature-controlled environment.